Vietnam is a land of distinctions and in no way is this more apparent than its countryside. Long the preserve of war films and distressing news reels, Vietnam has been slowly garnering the respect it deserves as a tourist attraction. Due to its size (Vietnam is over 1,000km in length) Vietnam offers some striking scenery. At a snapshot this ranges from the meandering Mekong Delta in the South, the highlands of Vietnam’s center – home of the world famous Hi Van pass – and the north which is home to Hanoi, Halong Bay and mountain ranges. Given its coastal attributes Vietnam also boasts some of Asia’s most striking secluded and beautiful beaches. In this article we will focus on one specific region: northern Vietnam. Home to Hanoi – a truly vibrant and historical city – and the northern mountains which offer breathtaking and are also home to many of Vietnam’s ethnic minorities . In sum: this region of Vietnam really does have it all and is the perfect addition to your Vietnam holiday. Hanoi and the north of Vietnam generally has fours almost distinct seasons, although the last few years have produced more varied weather patterns. Summer (May to October), is hot and wet, July and August tend to be the upper most hottest months with temperatures often exceeding 33 degrees Celsius. Throughout the winter months of October to March it is usually cold but the humidity tends to remain although rarely uncomfortable. In the most wintry months of December and January, temperatures in the very north of Vietnam can occasionally reach below -0 degrees and rarely get over 10 degrees centigrade . 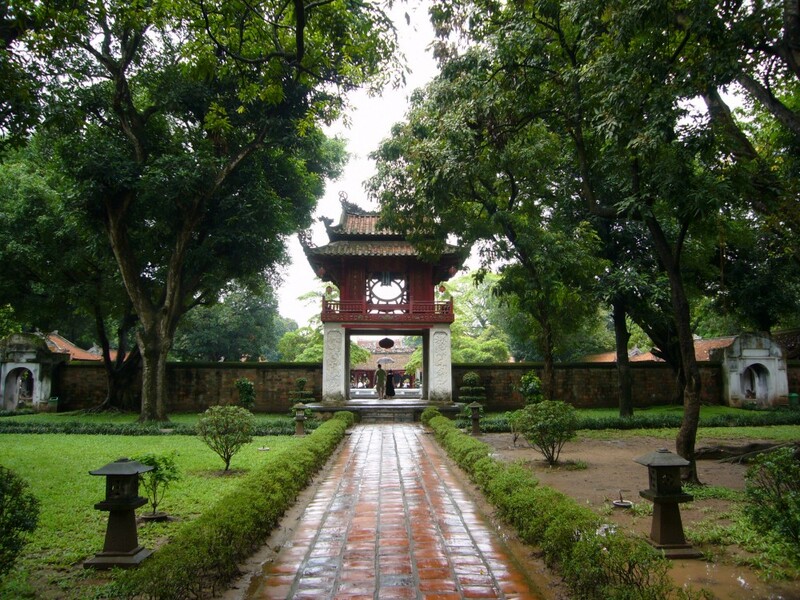 Hanoi offers travellers almost everything they could want from an Asian city. An ancient city Hanoi (Vietnam capital city) was heavily colonised by the French and their architectural legacy remains, especially within the city’s old quarter. Although Hanoi continues to expand at a fast rate you can still experience its old town charm. If staying for more than 24 hours in Hanoi (a must to really see this city) then a centrally located hotel is recommended, as a general rule of thumb these can be found in the city’s old quarter or in locations close the Hoan Kiem lake. Visiting Hanoi for the first time can be a daunting prospect. With frenetic roads, busy streets and a bustling atmosphere Hanoi is a high impact city and a little less quaint than visitors often imagine. Crossing the road can be a task it itself but crossing at a slow and predictable place and looking for gaps in the traffic should see you across fine! Hanoi is home to some incredible sights such as Ho Chi Minh’s Mausoleum, the Hanoi War Museum, the Hanoi Hilton ( a former prison US Senator John McCain was housed in during the American Vietnam war) as well as famous ‘Red Bridge’ on Hanoi’s Hoan Kiem lake. One of the best ways to see the old streets of Hanoi was by Cyclo (traditional form transport) however, these have been all but banned by the city’s authorities. The city has invested in a type of golf buggy which offers a more tranquil view of the city. Alternatively try a tour operator prior to departure of purchase a good guide book or map, wandering the streets of Hanoi is a joy in itself! To break up any day tours then Hanoi offers some incredible cafe’s and bars. Many of the cafe’s will offer traditional Vietnamese coffee which percolates at your table and is beautifully rich taste and texture. If you are looking for an even more, and alcohol based, experience then try some of Hanoi’s Fresh Beer. Independently brewed, Fresh Beer can be found in Beer Hoi’s, small street corner bars that serve your drinks on small plastic chairs and tables. However, Hanoi also offers some incredible cuisine and for around $10 per head travellers can expect exquisite Vietnamese cuisine. Favourites include Pho soup, Vietnamese beef, dozens of variations of spring rolls, Hanoi grilled pork and a multitude of stir-fries. As with all Vietnamese food the ingredients are fresh, dishes made to order and tastes that almost always exceed expectation. If Vietnamese food is not to your taste then there are almost always Western alternatives in hand. For Ice cream a firm favourite for travellers is Fanny’s which serves traditional Vietnamese beverages alongside fantastic ice cream, Fanny’s in located near the Water Puppet Theatre on Hoan Kiem Lake. From Hanoi it is also worth noting that the world famous Halong Bay is just a three hour drive away. Vietnam’s north offers the travellers total seclusion in an otherwise crowded country, if you have time to venture out from your Vietnam holiday then this detour is certainly worth it. Reaching it, as you would expect, takes a little time. One of the most popular modes of transport is train. Departing from Hanoi station a train will generally take 8 hours and soft-sleepers are available at $20+. Sapa as a town is charming and makes for a great base to explore the area. 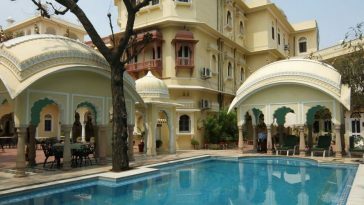 Accommodation ranges from the basic to some solid international 3-4* hotels. In Sapa town there are night markets that offer good shopping and many of the locals are still keen to meet and interact with tourists. 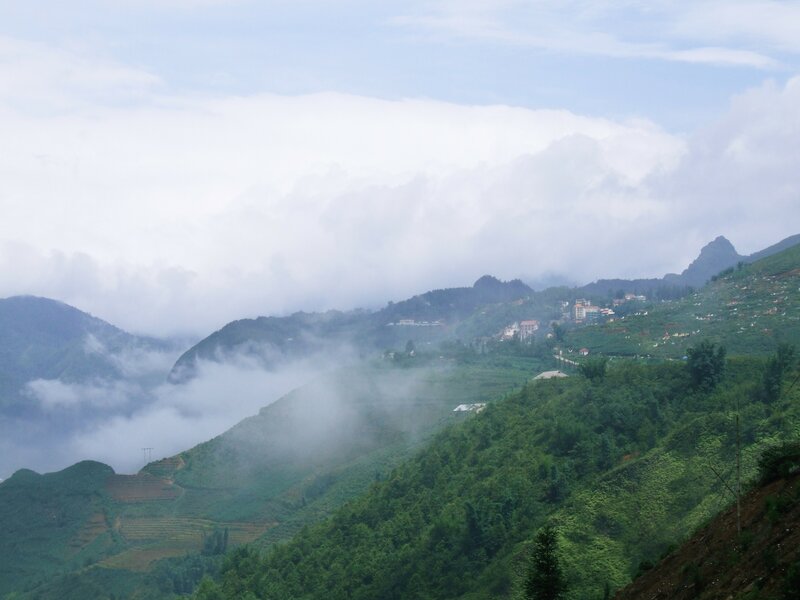 From Sapa you can organise – we would recommend before hand with a reputable travel agent or tour operator – treks into the regions mountains and valleys. Treks will often take you to some of Vietnam’s emblematic sights such as the Ta Van valley with sweeping views across stepped rice fields. This region is also home to the Red Dzao people and many tour operators can arrange visits to these isolated communities. 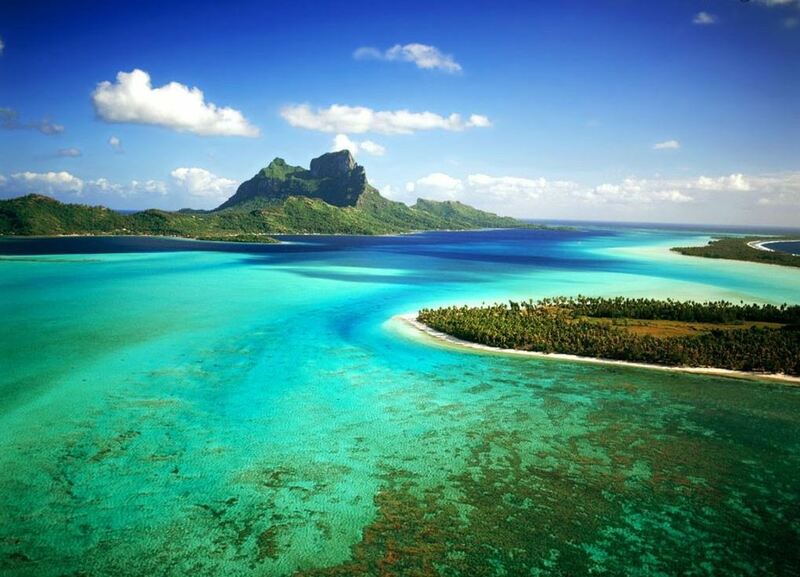 However you choose to visit these communities a responsible travel attitude and ethos is recommended. If you are looking to get right off the beaten track then the Topas Eco-lodge has been specially built in the regions foothills and provides breathtaking views of the countryside and surrounding valleys. Further north into the mountains you can find Lai Chau province home to many small villages and communities. 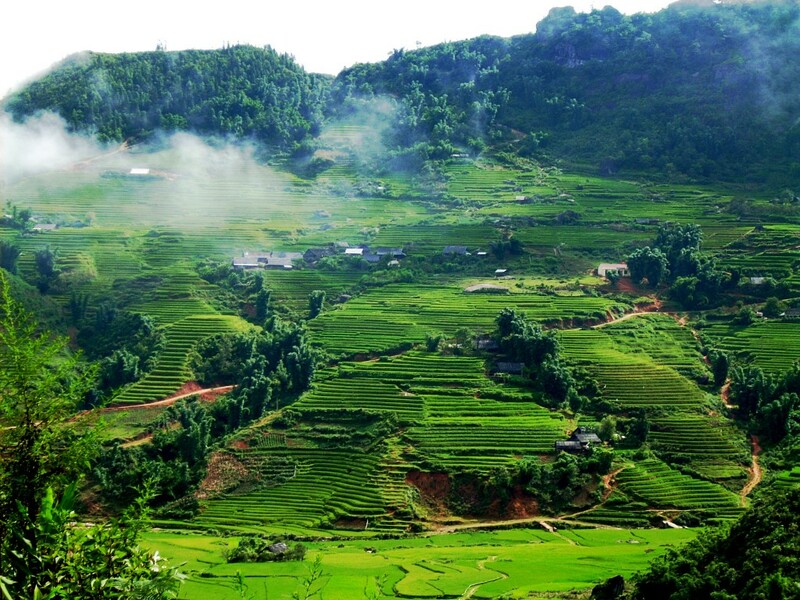 After a short drive from Sapa you will also find Paso, a small town situated on the Da river.